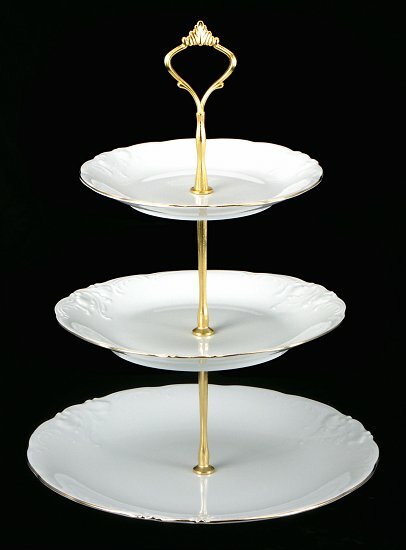 Serve your finest tea treats on this lovely Elegance tiered plate. This tiered plate is part of our fine china collection and matches our tea sets and dinnerware patterns. Made exclusively for Tea With Grace. A beautiful addition to any table. Plates measure 6.5 in., 8 in. and 10 in. Disassembles to store flat. Made in Poland by Wawel. Hand-painted with gold trim.